Finally, here’s the first trailer of the movie Robin Hood! After being pushed back several times, the movie will eventually be released on November 21. You can watch the trailer below and check the first movie still with Jamie (Will Scarlet) in the gallery. I can’t wait to see him in that role! IMPORTANT: UNFORTUNATELY, THE WEBSITE TWITTER HAS BEEN SUSPENDED. Initially, the movie Robin Hood was scheduled to be released in March, before getting a new release date in September. Now the movie has just been pushed back again and the official release date in the US is on November 21. It also should be released worldwide around that same date. It’s now official, Jamie will be back in Scotland in October for the Alfred Dunhill Links championship! It will be hold from October 5 to 8 and Jamie will play with a professional player as usual. A very good news and let’s hope Jamie will do as great as last year. 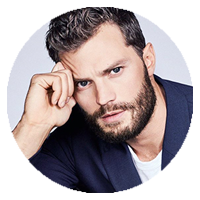 Moreover, the website alfreddunhilllinks.com published a new interview of Jamie that you can read below. In this interview, Jamie reveals that My Dinner with Hervé will air in April 2018! He also mentions Robin Hood but the movie won’t be out in March anymore, as the release date has been postponed to September 2018! Question: How much do you enjoy playing in the Alfred Dunhill Links? What makes it special? Jamie Dornan: I love it. The chance to play a few of the best courses in the world alongside some of the best players in the world can’t be sniffed at. Question: What was it like walking down the 18th in the final group on Sunday last year? Jamie Dornan: Terrifying. I felt a bit lost but just wanted Tyrrell [Hatton, the winner] to drink it all in. Question: Was it a better feeling than holing out for your eagle on the 18th the year before? Jamie Dornan: I hacked it down the 18th last year, so definitely have fonder memories of my eagle the year before. Question: You’re making a habit of playing with winners – Danny Willett in 2015 and he went on to win the Masters; now Tyrrell Hatton, who went on to reach 14th in the world. Jamie Dornan: I’m a lucky boy. I think my game gives them confidence when they see just how badly someone else can hit the golf ball. Question: Your partner Tyrrell won, but you only finished fourth in the Team Championship, behind Danny Willett and his caddie Jonathan Smart. Were you pleased to finish fourth, or disappointed you didn’t win? Jamie Dornan: Was cool to finish fourth, but once we were up there I wanted to win. I’m competitive and was annoyed at myself that I didn’t contribute more over the weekend. Question: You look quite relaxed on the course, is that the case? Jamie Dornan: It’s nervous laughter most of the time! Question: Does being an actor, with your work being seen by so many people, mean you don’t suffer from nerves on the 1st tee? Question: Now that you’ve played three times, what is your assessment of the courses? Jamie Dornan: The closing three holes at Carnoustie are simply impossible for an amateur. Question: Where does golf fit into your life at the moment? How often do you play? 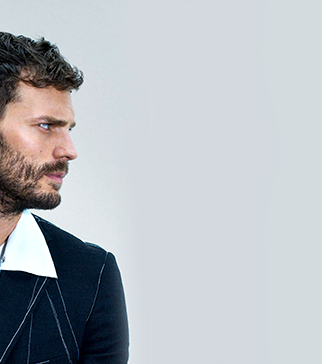 Jamie Dornan: I get to play about 8/10 rounds a year these days. Simply not enough, but work and two daughters under four doesn’t allow for a great deal of time to myself. Question: What are your next big work projects? Jamie Dornan: I’ve got 50 Shades Freed coming out in February, Robin Hood out in March (now September 2018), and My Dinner with Hèrve coming out in April.